When we let the team grow their own silos, then we end up with teams that have many single points of failure. Is that really what is best for the team or the business? The famous bus-factor metric tells us how many people would have to be run over by a bus for us to hit a major problem. Are you helping your team reflect on their bus-factor areas? Listen in to learn about the practices you can use to identify and resolve those bus-factor problems. A question that many managers ask themselves: who’s the best person to hire for my team? 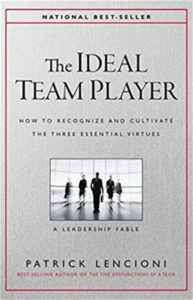 In The Ideal Team Player, Patrick Lencioni explores the characteristics and how to develop the idea team player for the team. 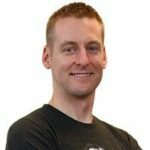 Jeff is passionate about working with and building up both individuals and teams using ideas from Jurgen Appelo’s Management 3.0 and Dan Pink’s Drive. When leading project teams, Jeff strives for empirical based planning and forecasting, continuous learning, and delivering high quality software products that exceed expectations. Jeff believes in leading by actions and focusing on building relationships with others. You can link with Jeff Maleski on LinkedIn.